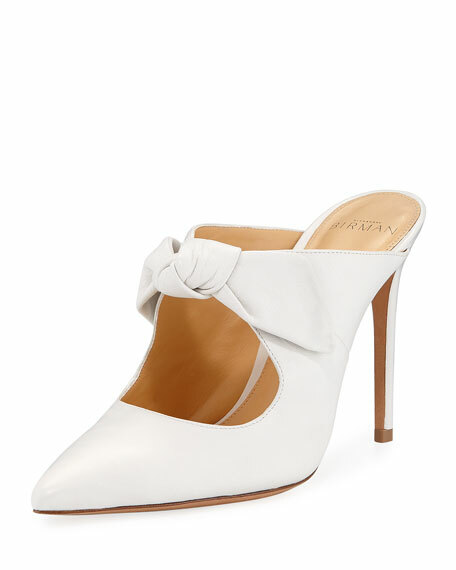 Alexandre Birman kidskin leather mules. 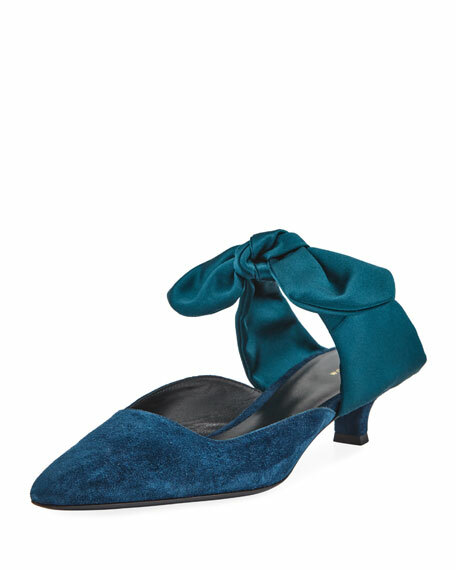 The Row suede mule with silk satin bow. 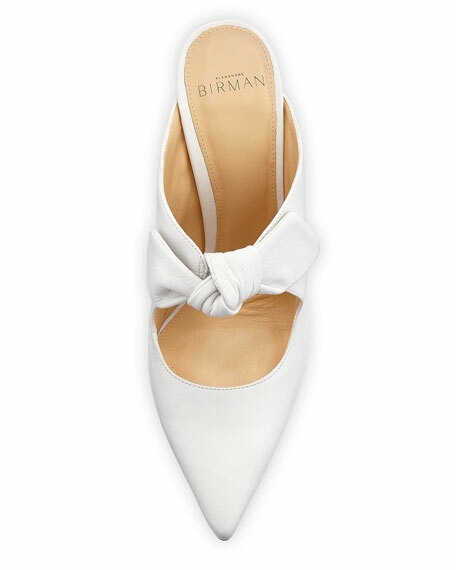 1.6" covered heel. Pointed toe. Slide-on style. Leather lining and sole. "Coco" is made in Italy.